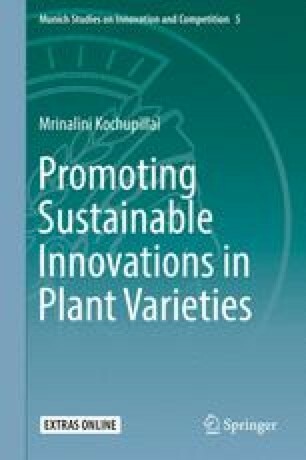 This chapter compiles the findings and suggestions from the previous chapter and recommends means of promoting ‘sustainable innovations’ in plant varieties. It argues, inter alia, that it is up to each country to take advantage of the flexibilities inherent in the current wording of Article 27.3(b), ensure that these flexibilities are not done away with in future negotiations pertaining to its scope, and, most significantly, build a system of checks and balances within and outside the framework of IP laws for plant varieties within their territories. Of particular relevance is ensuring that incentive measures adopted for promoting innovations in plant varieties do not interfere with or disincentivize in situ agrobiodiversity conservation. For this, it is further necessary to ensure that an equal measure of incentives is given to both the formal and informal seed sectors to engage in innovative activity vis-à-vis seed improvement. Concrete recommendations in this regard, in the light of the findings from the previous chapters, are detailed in this chapter.